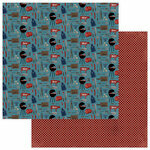 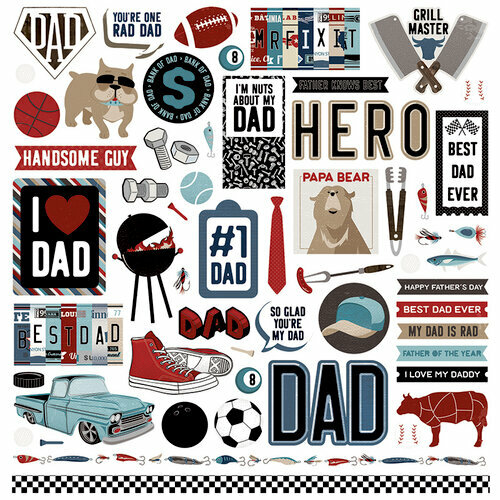 You'll find the right combination of Elements for the man in your life with these cool 12" x 12" cardstock stickers designed by Becky Fleck for Photo Play Paper. Included in the package is one sheet of cardstock stickers that features images of sneakers, grilling, sports equipment, nuts and bolts, vintage pick-up truck and more. 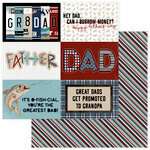 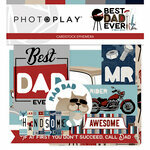 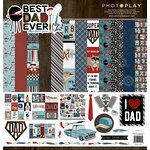 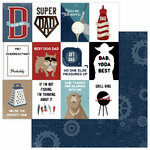 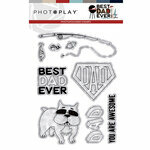 The stickers are part of the Best Dad Ever Collection and are fantastic for your Father's Day paper craft projects.